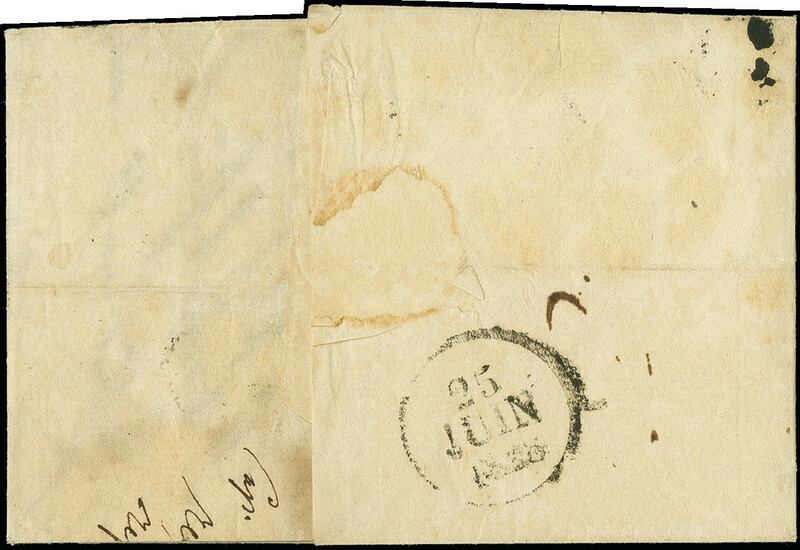 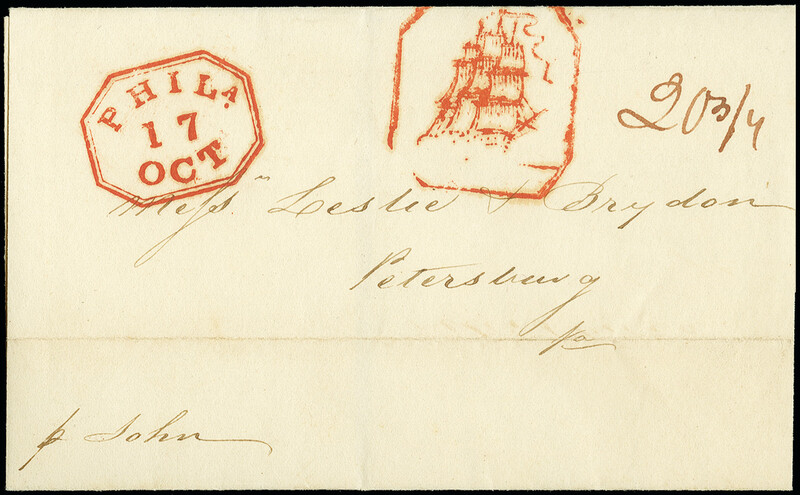 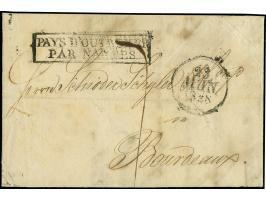 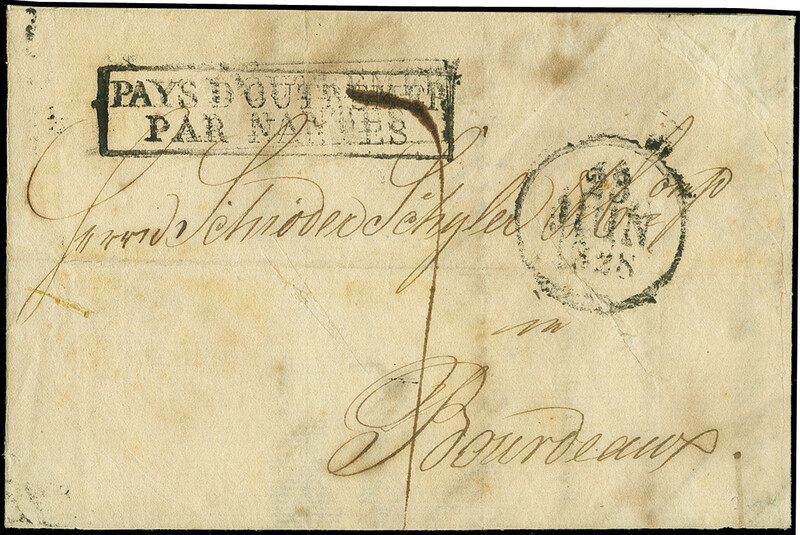 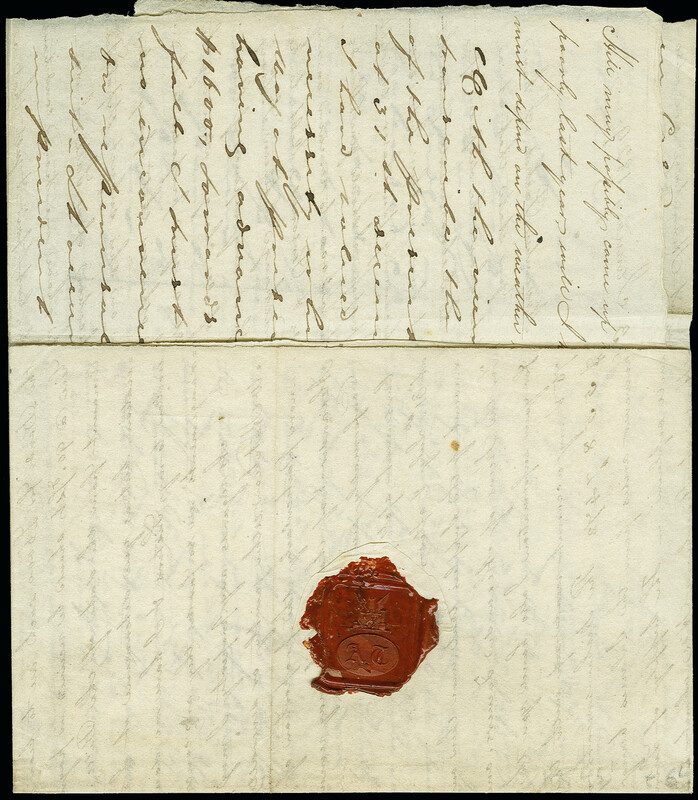 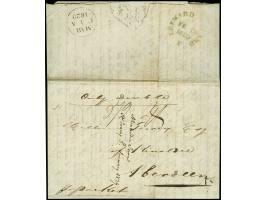 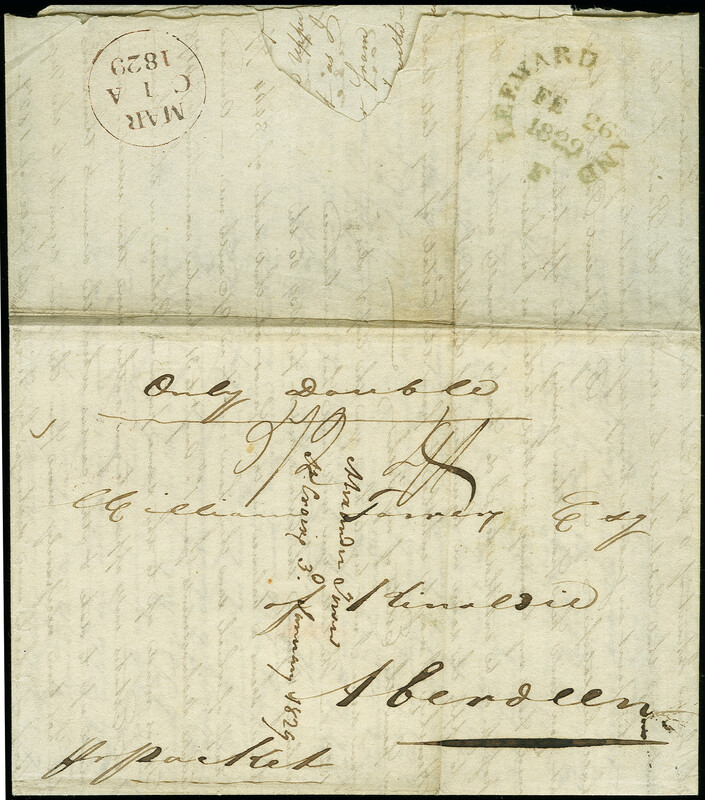 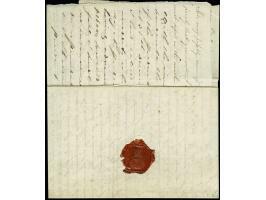 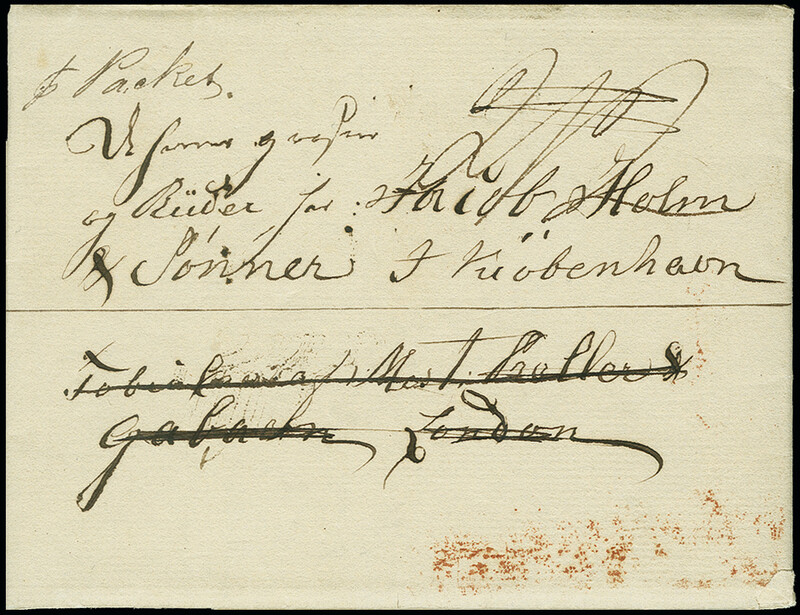 1828, Entire letter in German language from the captain of the German ship 'Tidselholdt' on the way from St. Croix to Flensburg, addressed to Bordeaux with boxed "PAYS D'OUTREMER PAR NANTES" and date stamp "23 JUN 1828"
1838, Entire letter from St. Croix, forwarded via St. Thomas forwarding agent Hjardemaal & Nolding (manuscript notation on reverse) and London forwarding agent Preller & Garbach to Copenhagen, on reverse red boxed "PACKET LETTER" and London transit mark.A scarce destination. 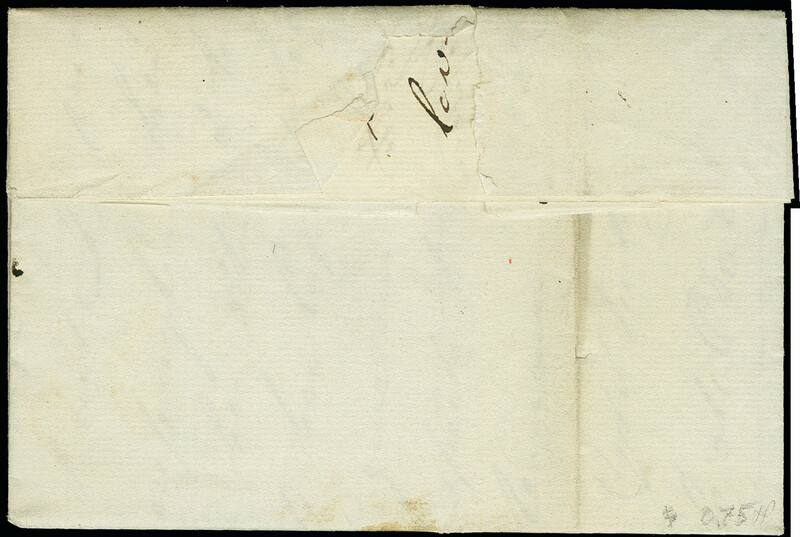 1840 (ca. 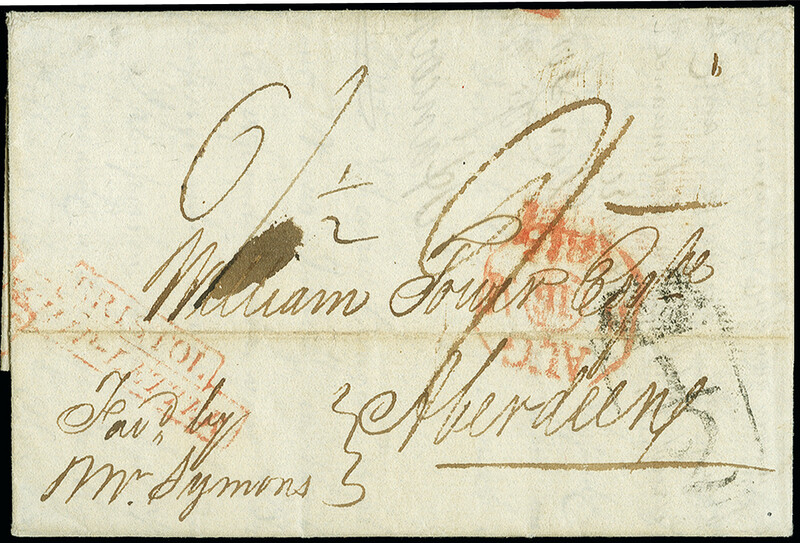 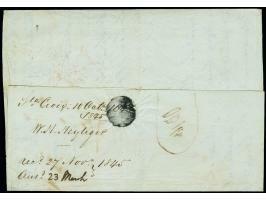 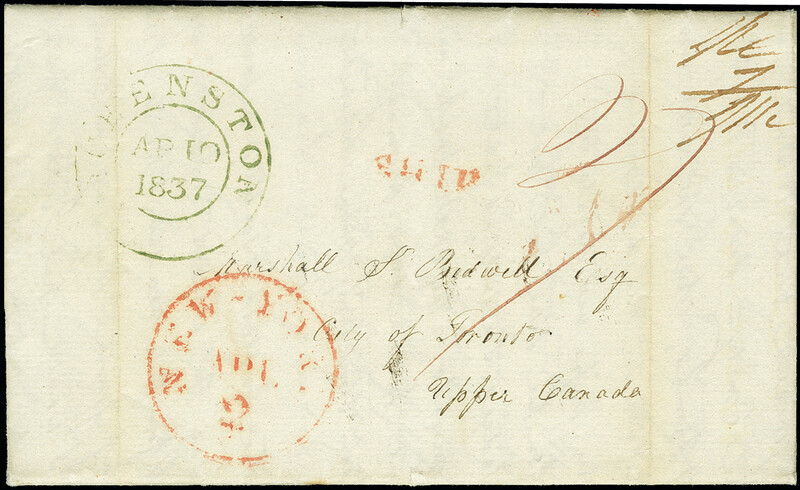 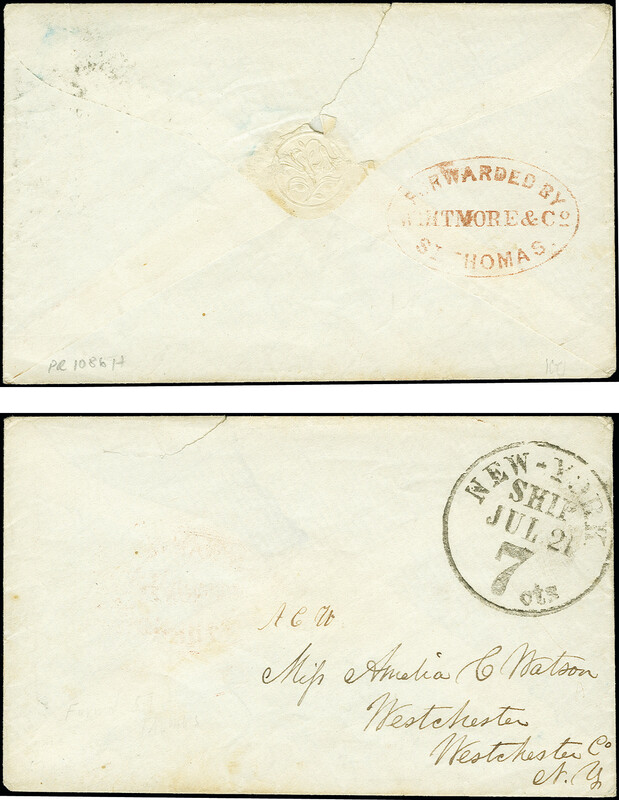 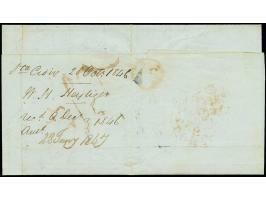 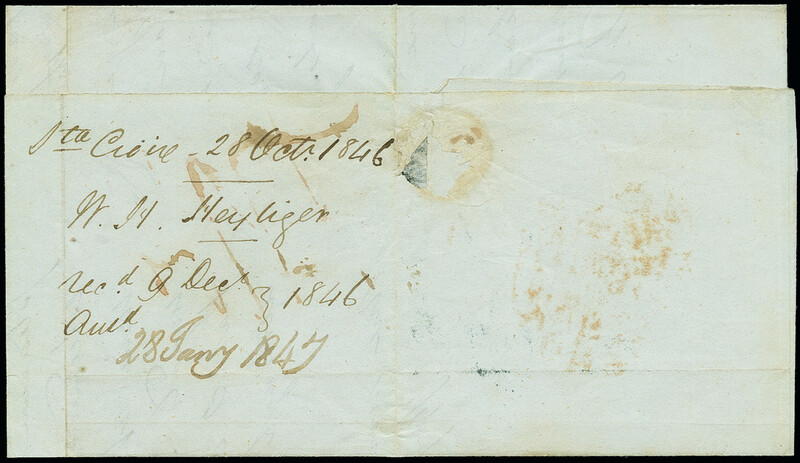 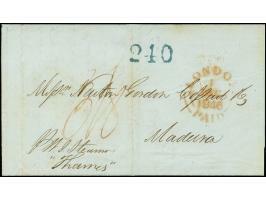 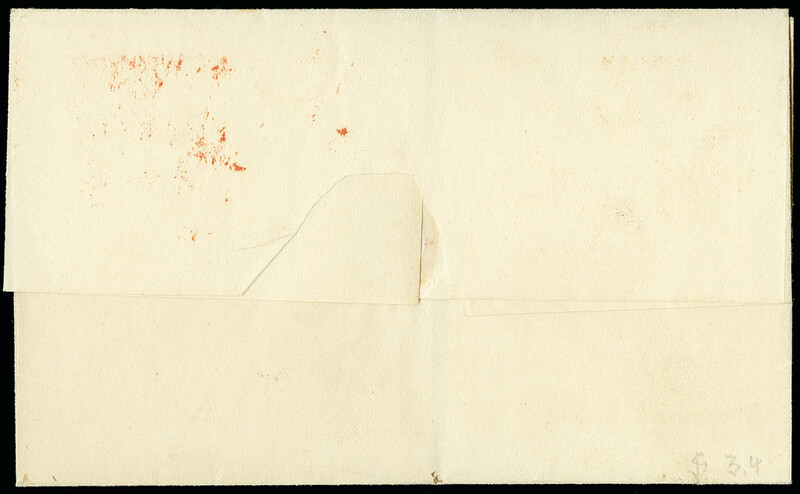 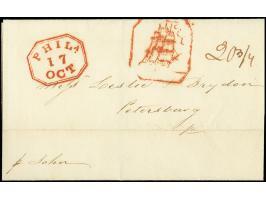 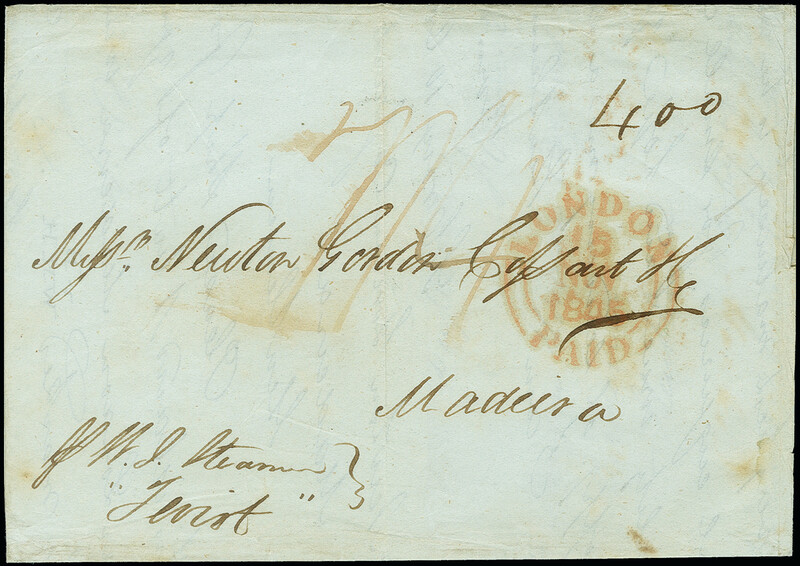 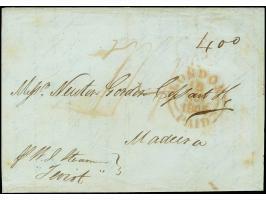 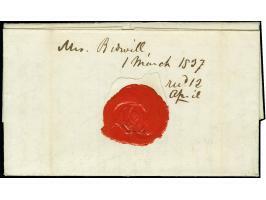 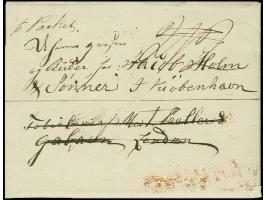 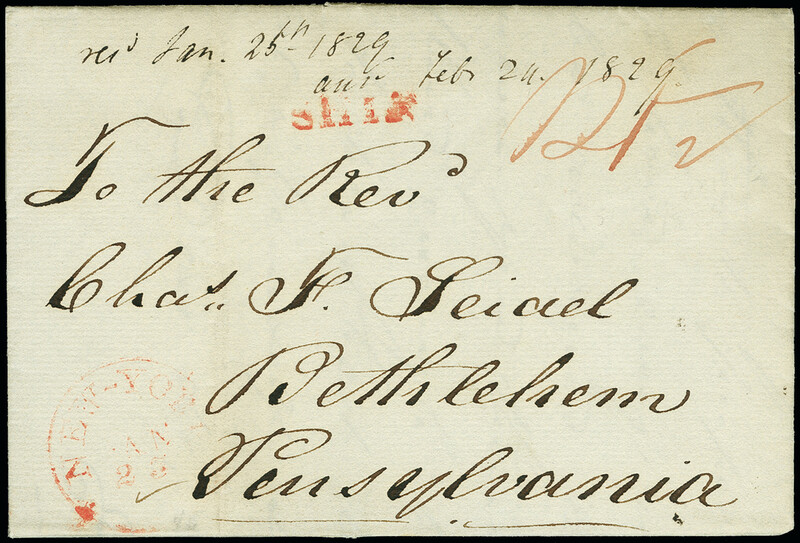 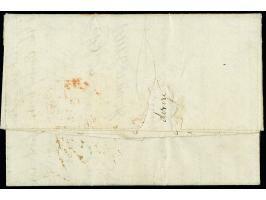 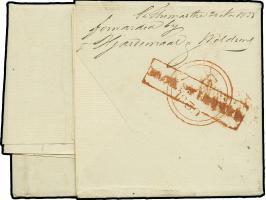 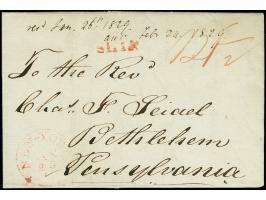 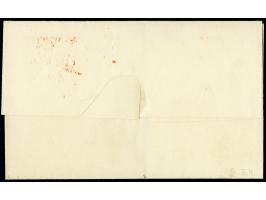 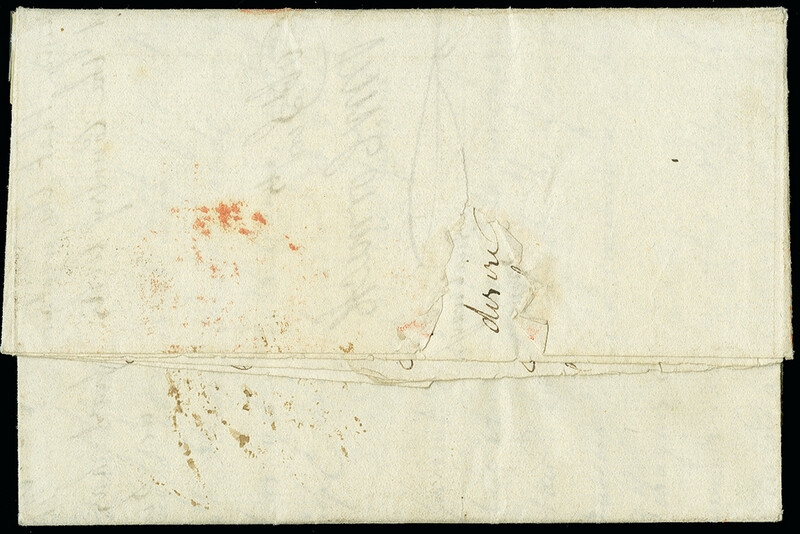 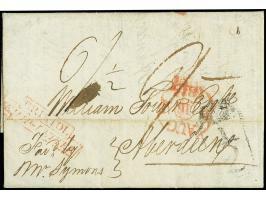 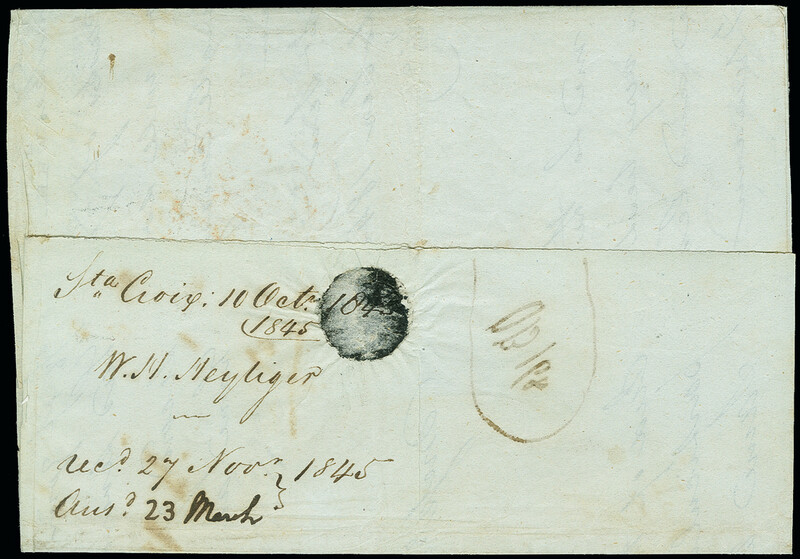 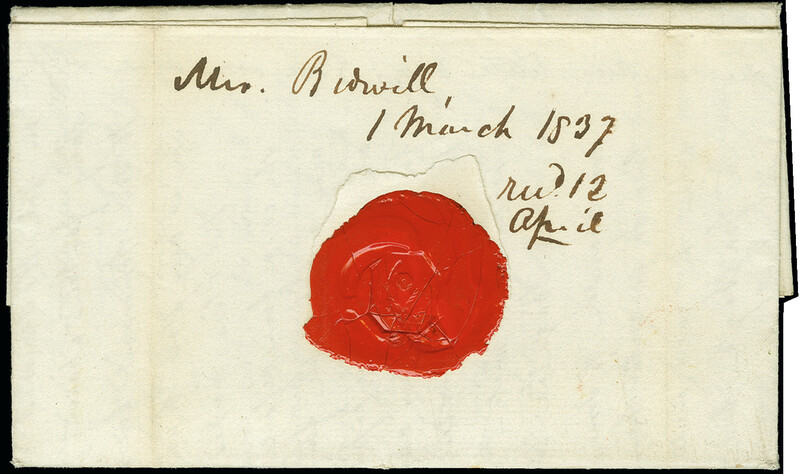 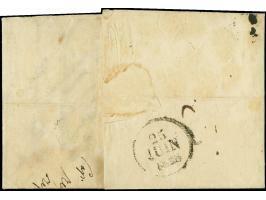 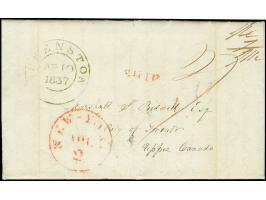 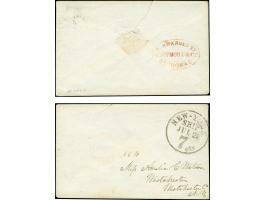 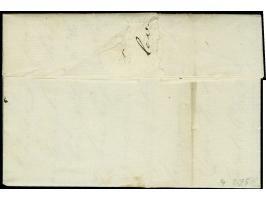 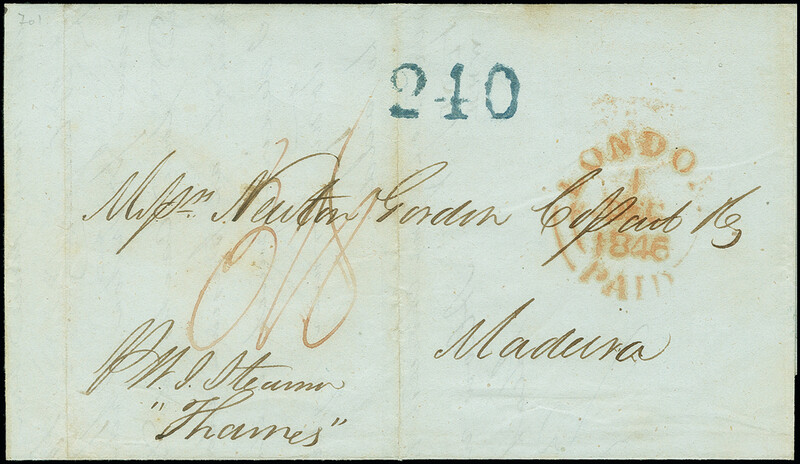 ), Small envelope with red "FORWARDED BY WHITMORE & Co. ST. THOMAS" on reverse, sent to New York with black "NEW-YORK-SHIP 7 cts. 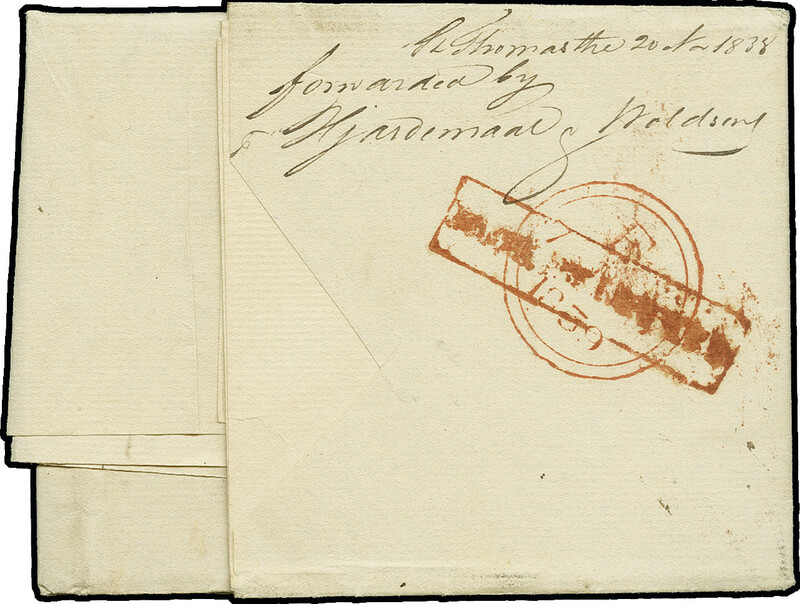 / JUL 21"